Joyce Ann Tucker Martin, 83, a lifelong resident of Chattanooga passed away April 16, 2019 at her residence. 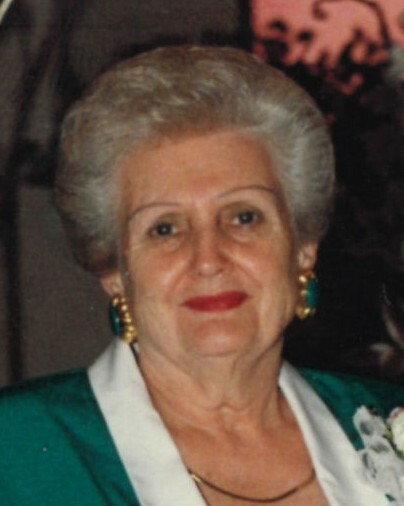 Joyce was a longtime member of Lookout Valley Baptist Church. She was preceded in death by her husband, Jimmy Martin, son, Freddy Martin; parents, Rev. Charles Tucker Sr. & Monteen Ratliff Tucker and brother, Billy Tucker. She is survived by her daughter, Kay (Carl) Human, Chickamauga, GA; sisters, Betty (Kenneth) McBryar, Chattanooga, Peggy (Ralph) Keefe, Rossville, and Emma Tucker, Chickamauga, GA; brother, David Tucker, Chattanooga; grandchildren, Belinda (Carl) Poore, Becky Phillips, Kristy (Jason) Jones, April Farley, John Human and David (Marissa) Human; 15 great-grandchildren; 1 great-great-granddaughter; several nieces and nephews. Services will be held Friday at 11 am in the chapel with Rev. Steve Brandon officiating. Burial will follow at Lakewood Memory Gardens, South with John Human, David Human, Kyle Stewart, Tyler Craze, Preston Craze and Doug Tucker serving as pallbearers. The family would like to thank Hospice of Chattanooga for all their special care and help. Visit www.heritagechattanoga.com to share condolences to the family and view the memorial tribute.